Three weeks ago we released The Hub's September line-up and we didn't call that the "fall" line-up. Why? Because the schedule is changing in October and we have news on a sitcom that we have always thought would be a perfect fit for The Hub. That sitcom is...Step by Step, as we first announced on Friday on Twitter! The Hub Network, a destination for kids and their families, continues to add to its slate of fun family programming with the Hub Network premiere of the hit 90s TGIF sitcom Step by Step, Monday, October 7, 7 pm ET/4 pm PT. 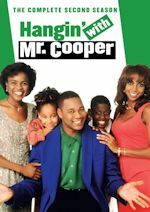 The series will air weekdays at 7 pm and 7:30 pm ET/4 pm and 4:30 pm PT. Step by Step has not aired on television in more than three years since it last aired on cable on ABC Family from 2001-2010. 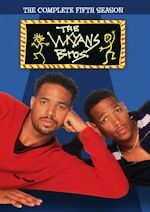 The series originally aired on ABC from 1991-1998 (with the last season on CBS). In the hit series, Suzanne Somers and Patrick Duffy star as two mismatched parents who meet on vacation, fall in love and spontaneously decide to marry. The newlyweds both have three children and must face the monumental challenge of blending their very different families into one. We will have more on Step by Step on The Hub soon, along with details on The Hub's full October 2013 schedule. What else will change? Stay tuned. 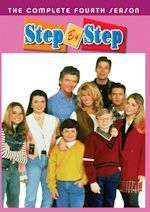 Step by Step featured stars like Patrick Duffy, Suzanne Somers, Staci Keanan, Brandon Call, Angela Watson, Christine Lakin, Christopher Castile, Josh Byrne, Sasha Mitchell, Jason Marsden, and Bronson Pinchot. 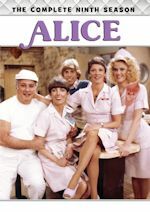 A Bickley/Warren and Miller/Boyett Production in association with Warner Bros. Television, Step by Step is distributed by Warner Bros. Domestic Television Distribution. We stick with The Hub for our second story, as The Hub has announced something else for October 2013. It will once again dominate Halloween with its annual Haunted Hub programming line-up, a month-long celebration of all things spooky, featuring the premieres of two original Hub Network series; the first-ever, star-studded Halloween Bash with a 50-state costume contest that anyone can enter and anyone can win; and Halloween-themed movies and stunts the entire family will enjoy. The spook-tacular schedule includes the premiere of the new animated series, Sabrina Secrets of a Teenage Witch, starring the voice of Ashley Tisdale, on Saturday, October 12, 12 pm ET/9 am PT. Also on Saturday, October 12 at 7 pm ET/4 pm PT, new episodes of the 2013 Daytime Emmy® Award-winning series R.L. Stine's The Haunting Hour: The Series return. The Haunted Hub celebration also includes the Hub Network's biggest event ever -- The Hub Network's First Annual Halloween Bash,” Saturday, October 26, 8–10 pm ET/5–7 pm PT, featuring the first-ever nationwide Halloween costume competition. That same night, the Hub Network will use this pivotal special to launch its new live-action series, Spooksville, at 10 pm ET/7 pm PT. 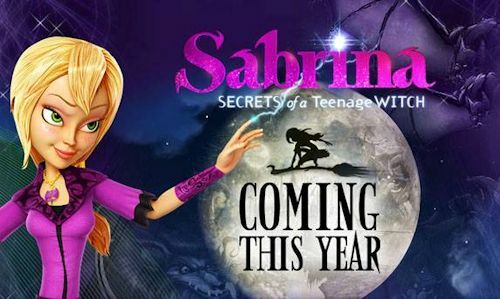 Sabrina Secrets of a Teenage Witch features the iconic teen character re-imagined for a new generation in an all-new animated series starring the voice of Ashley Tisdale (High School Musical). In this half-hour series, Sabrina (Tisdale) is half-witch, half-human, and all super hero as she leads two vastly different lives — one disguised as a normal, klutzy high-school student and the other as the top sorcery student in the magical world. When her two worlds collide, Sabrina is the only one who has the power to battle her foes, while managing to keep her magical identity a secret from humankind. The series is produced by Moonscoop; Archie Comic Publications, Inc.; DSK Group, India; Laughing Lion; and Telegael Teoranta. Sabrina Secrets of a Teenage Witch premieres Saturday, October 12, 12 p.m. ET/9 a.m. PT, which is its regularly scheduled time period.